From April 30 to May 6, celebrate teaching and learning at the 10th annual Celebrate Learning Week. The theme of this year’s showcase is transformative learning, which will be highlighted through a week of exciting events, including workshops, poster sessions, special guest speakers, and more. 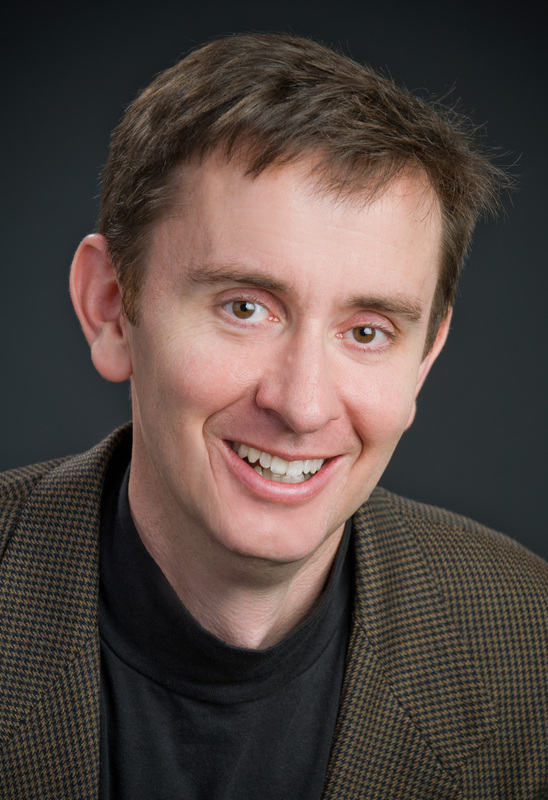 Peter Felten, co-author of The Undergraduate Experience, is the keynote speaker for Celebrate Learning Week 2018. In his book, Felten and his co-authors identify six core themes that matter most for student success: learning, relationships, expectations, alignment, improvement, and leadership. This interactive keynote will explore the research that demonstrates why these themes are important for students, instructors, and institutional culture. During the session, we will critically consider what each of us can do, no matter what our context and role, to cultivate a generative culture of learning and teaching. Meet your learning goals by accessing Lynda.com‘s flexible and diverse resources from anywhere and at any time! UBC staff and faculty have free and unlimited access to Lynda.com, which offers thousands of video tutorials on business, creative, and technology skills. With so many tutorials available, UBC Human Resources has spotlighted a few of the options available in the “Learning with Lynda.com” series to help get you started during Celebrate Learning Week. CWL login access at http://www.lynda.ubc.ca. The 2018 Graduate Students in Teaching, Mini-Conference (GSiT) organizing committee is looking forward to welcoming Presenters and Attendees to UBC, Vancouver Campus, May 1 & 2, 2018. This conference is an opportunity for students to focus on the present and future role of graduate students in teaching: graduate students teaching now, as well as graduate students as future faculty. This conference is free for all undergraduate and graduate students, and postdoctoral fellows, but registration is required. CIRCLe 2018 is a one-day conference hosted by UBC Faculty of Arts, partnering with the Centre for Teaching, Learning and Technology (CTLT), that explores the role of e-portfolios in higher education and professional practices. We will inquire into how e-portfolios might be used to create a bridge between academic learning and professional identity and how educators can cultivate an e-portfolio culture in disciplines where this does not exist. Sessions consist of presentations by faculty and students from all disciplines, and employers, on topics including reflective and collaborative processes, digital literacy and online ethics, distinguishing between personal and professional identities. This drop in session will present the vision of UBC’s Emerging Media Lab (EML – http://eml.ubc.ca/ ) as a space dedicated to exploring how emerging technologies are evolving the way we learn. Currently the EML serves two roles in the UBC community: 1) to enhance teaching and learning with immersive technologies such as Virtual Reality (VR)/Augmented Reality (AR)/ Mixed Reality (MR) while providing inspirational sessions such as demos, workshops, orientations and community of practice meetings, and 2) to incubate ideas by developing projects in collaboration between students, faculty and staff members. Participants in the session will have an opportunity to experience ongoing and completed projects in immersive media such as the HTC Vive, HoloLens or the Oculus Rift. Projects include the HoloBrain ( http://eml.ubc.ca/projects/holobrain/ ), an AR teaching tool that could be implemented in neuroanatomy instruction, and the Stanley Park Geography VR Field Trip ( http://eml.ubc.ca/projects/geography-vr/ ), a project that focuses on Stanley park as a virtual reality experience using 3D spatial environment models, ground level photogrammetry, and the Unity game engine. For further information on EML projects, please go to http://eml.ubc.ca/projects/. These projects will help participants better understand both the unique affordances of these technologies in terms of teaching and learning and what is required in terms of development. Participants will be welcomed on a first come, first served basis and participants can leave at any time. Space is limited so please R.S.V.P. emergingmedia.lab@ubc.ca if you plan to attend. Drop by the Neville Scarfe Foyer (just outside the Education Library) to ask a question, participate in some discussion and get your hands dirty with some “Seedy” fun. Plant a seed, make a thematic button, take a pic at our Green Screen Photo Booth, learn about the UBC Seed Lending Library and some of the ways STEAM is explored in Teacher Education. Hosted by Wendy Traas, UBC Education Library, Yvonne Dawydiak, Instructional Specialist Faculty of Education and Liza Navarro, PHD Student, LLED. Professor of Mathematics, Grand Valley State University and Scholar-in-Residence, Steelcase Inc.
Join us for an exclusive viewing of the UBC Okanagan Learning Conference Keynote speaker from the newly renovated Hennings 200 Active Learning Theatre. Our choices of pedagogy and technology that we use in teaching can either impede or enable learners’ free exercise of these rights. And although less frequently considered, the physical learning spaces that learners inhabit can do the same. As we explore the rights of the learner, we will also examine both research and lived experiences surrounding active learning spaces, to see how the affordances of these spaces can serve as a “second teacher,” shaping student and instructor mindsets about teaching and learning and providing a space wherein learners can exercise and enjoy the rights they have. Robert Talbert is Professor of Mathematics at Grand Valley State University in Allendale, Michigan USA. He holds a B.S. degree in Mathematics from Tennessee Technological University, and M.S. and Ph.D. degrees in Mathematics from Vanderbilt University. 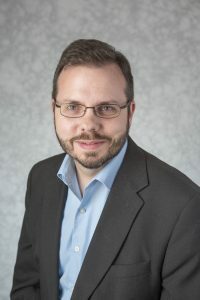 Robert received the Pew Teaching with Technology Award from GVSU in 2015 and was GVSU’s candidate for Michigan Distinguished Professor of the Year in 2015. 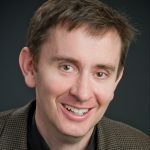 Originally trained as a pure mathematician with a specialty in algebraic topology, Robert’s current scholarly work is in the scholarship of teaching and learning, especially active learning and flipped learning design. He is the author of “Flipped Learning: A Guide for Higher Education Faculty” published in 2017 by Stylus Publications. He is on sabbatical for the 2017-2018 academic year as a Scholar-in-Residence with Steelcase Inc., working with Steelcase Education and the Workspace Futures group on research in active learning. Robert lives with his wife and three children in Allendale, Michigan. Learn about new tools that can increase the reproducibility of research, and new pedagogies that become possible when students and faculty become co-creators engaged in generative knowledge creation. Hear from UBC colleagues who are incorporating “openness” in innovative ways to enhance teaching, research, and publishing. hands-on training for tools such as Open Science Framework, GitHub, WeBwork, Pressbooks. next steps in Canada’s Tri-Council Statement of Principles on Digital Data Management. All events are free and open to all but registration is required. Lunch and coffee breaks provided. Space is limited so register by April 25. There are a wide range of ways to learn at UBC. Some of these ways include conferences, workshops, virtual learning, apprenticeship and coaching. Join Coaching@UBC for an informative and interactive event to explore how coaching can support UBC staff and faculty to increase learning effectiveness to achieve goals and desired change. Since 1991, the Teaching and Learning Enhancement Fund (TLEF) has supported more than 1,000 innovative education projects at UBC Vancouver. The projects and project teams are at the forefront of improving the learning experience for UBC Vancouver students and are engaged in innovative and interesting projects that span the university and reach out into the community, both locally and globally. The TLEF Showcase will celebrate the influence that TLEF projects have on enhancing learning at UBC. More than 40 project teams will present posters about their TLEF projects at this event. For faculty, staff and students interested in applying for the TLEF, the event will provide helpful insight into the types of initiatives the TLEF supports. For those interested in innovative teaching and learning projects and practices, the event is a great way to learn about exciting projects across UBC Vancouver. Please join us for a reception and an opportunity to speak with the TLEF community. Lunch and refreshments will be provided. Debate: Should laptops and personal digital devices be banned from the classroom? The debate over laptop use in the classroom resurfaced last year following the publication of a New York Times op-ed by University of Michigan Professor Susan Dynarski. Dynarski decided to “generally ban electronics, including laptops, in [her] classes and research seminars” (with a few exceptions), citing research into the knock-on effects of visual distraction for people in the near vicinity of laptop users. Yet others may consider this question from the perspective of the assumptions that underlie this debate. What about student agency and responsibility to the community of the classroom? How do we engage students in thinking about the classroom climate and their contributions to it? What about students with accessibility requirements? Join us for a lively debate among students and faculty members representing both (or many) sides of this timely issue. Typically, we teach to students. What happens if we approach our work differently, aiming to teach with students? Emerging research suggests that engaging students as partners in teaching and learning has the potential to enhance, and perhaps even transform, student learning—and our teaching. This workshop, led by Celebrate Learning Week 2018 keynote speaker Peter Felten, will explore practical strategies from diverse disciplines for creating and sustaining student-faculty partnerships in teaching and learning. Reconciliation Through Indigenous Education is a massive open online course we developed which has had five offerings since 2015. Bringing Mental Health to Schools is self-paced online course which began last October. The intended audiences are in-service teachers who seek knowledge, guidance, and strategies to deal with sensitive topics. The ability of the MOOC platform edX has been leveraged by our Faculty to contribute to the personal growth and development of thousands of teachers. Learn how these courses were designed and succeeded beyond our highest hopes. Sky, Water, Earth is a collection of free, online, and self-paced learner activities. Grouped by theme and presented in a playlist format, these activities are presented in a playlist format, offering total flexibility for students to choose and customize their own learning pathway. Completion of the playlists help students considering a career in the sciences earn real-world opportunities and make their dreams a reality. Mattermost is an open source and UBC-hosted tool that supports team-based chat. Since its pilot launch in 2015, it has been used by over 1000 users who have collectively posted 100,000 messages. What is it that is so different about this communication tool versus so many others we have used? How has it be used to enhance learning? Come learn about surprising case studies, student experiences, and lessons learned. These projects will be introduced to you in 15 minute talks, with just as much time to hold group discussions about implications and possibilities for your practice.